IDEAL SIZE AND QUALITY: 11x17 in. bright and high quality posters printed on 300GSM acid free offset paper. EASY TO HANG: A set of hanging strips is included to hang your inspirational signs in any interior as soon as you get them. GET MOTIVATED: Great as motivational quotes, inspirational quotes for classroom, college posters or sports posters. 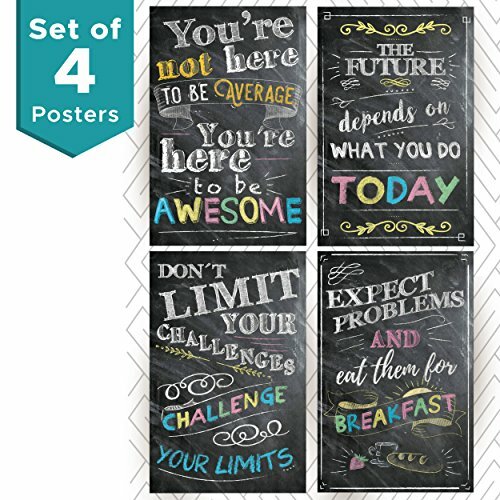 UNIQUE DECORATION: Great gift as decoration for kids bedroom, teen bedroom, office poster, good vibes signs, holiday gifts or wall decor. If you have any questions about this product by Throwback Traits, contact us by completing and submitting the form below. If you are looking for a specif part number, please include it with your message.